This Minor in Earth Science is a 21 credit hours program designed to provide students with basic knowledge of Earth Science processes as well as exposure to pressing global issues such as climate change, geohazards and sustainability of energy use and other natural resources. Students who complete this minor will have ability to critically evaluate sources of earth science data and information and use GIS to analyze natural hazards and address spatial problems in their major field of study. Complete a minimum of 21 semester hours with a cumulative grade point average of 2.0 or better. 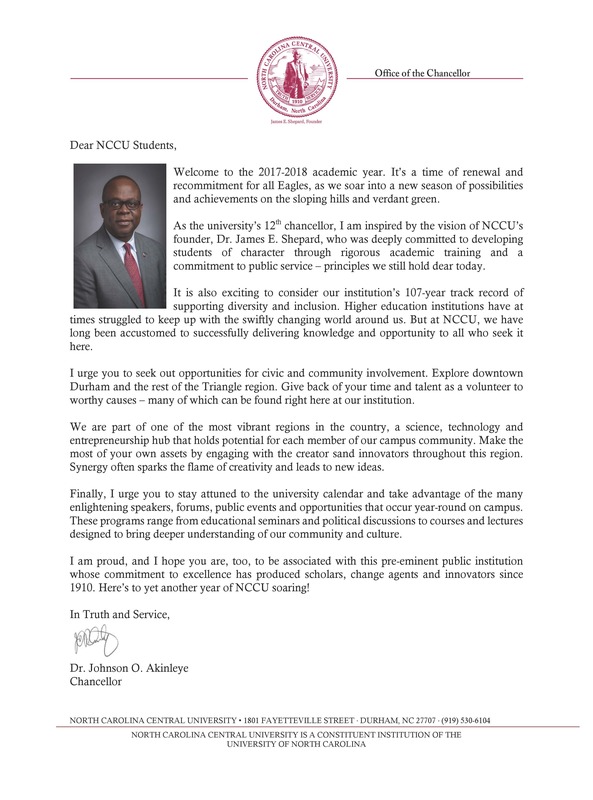 All hours must be completed at NCCU. Students must achieve a minimum grade of “C” in all courses used to satisfy requirements for the Earth Science Minor. For the Minor in Earth Science students are required to complete: introductory level earth science courses in solid earth, atmosphere and ocean interactions (6 credit hours); upper level courses in climatology and natural resources (6 credit hours); applied courses in geographic information systems and geohazards risk analysis (6 credit hours) and an elective course (3 credit hours).